Copernicus Publications recently launched its full-text HTML workflow and optimized the ANGEO website for mobile devices. Thereby, the user experience is significantly enhanced when reading ANGEO articles. Data underpinning any research finding should be findable, accessible, interoperable, and reusable (FAIR) – not only for humans, but also for machines. Therefore, Copernicus Publications requests that such data are available upon publication of an article. Bombing raids by Allied forces during the Second World War not only caused devastation on the ground but also sent shockwaves through Earth's atmosphere which were detected at the edge of space, according to new research. University of Reading researchers have revealed the shockwaves produced by huge bombs dropped by Allied planes on European cities were big enough to weaken the electrified upper atmosphere – the ionosphere – above the UK, 1000 km away. The results are published today in Annales Geophysicae. From January 2018 on, Annales Geophysicae (ANGEO) will change to an interactive open-access journal applying the public peer review and interactive public discussion concept. In addition, the EGU Planetary and Solar System Sciences Division will be represented through an extension of ANGEO's subject areas. From 1 January 2018 Annales Geophysicae (ANGEO) will increase the article processing charges. In 2016, the 17 EGU–Copernicus peer-reviewed open-access journals experienced significant growth. We published over 3300 final-revised papers, corresponding to some 53,500 pages, a growth of about 10% compared to the previous year. These papers were downloaded over 645,000 times. From 1 January 2017 Annales Geophysicae (ANGEO) will increase the article processing charges. After more than 5 years of dedicated and efficient service to the journal and the scientific community, Mike Pinnock stepped down from his function as editor-in-chief of Annales Geophysicae. In cooperation with the TIB|AV-Portal ANGEO authors can now add short, citable video abstracts and video supplements to their articles. Annales Geophysicae (ANGEO) has received the new DOAJ Seal which recognizes journals with an exceptionally high level of publishing standards and best practice. Thomson Reuters has published the latest Journal Citation Reports®. We are delighted to announce that the Impact Factor for Annales Geophysicae (ANGEO) has risen in 2014. Congratulations! Annales Geophysicae (ANGEO) has become a member of the Committee on Publication Ethics (COPE) and thereby subscribes to the principles of COPE. From 01 January 2015 Annales Geophysicae (ANGEO) will slightly increase the article processing charges. 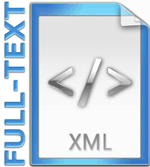 Annales Geophysicae (ANGEO) has started an XML-first workflow and will provide all new articles in full-text XML from now on. ANGEO has implemented publication ethics in order to guarantee high scientific and ethical standards. ANGEO has just published its new data policy. From 01 January on, there will be changes for ANGEO.